Live music at a wedding really enhances the atmosphere. From a choir at the ceremony, beautiful jazz or piano for drinks reception and a rockin' covers band in the evening. We work with many bands and musicians and some examples are offered below from a traditional string quartet through to quirky vintage bands. Please contact us with your wedding entertainment requirements. The Cocktail Trio comprise Sax, Guitar and Double Bass and are ideal for background music during a drinks reception or ceremony. Designed to enhance any atmosphere without being intrusive, they offer a sophisticated mix of Standards, Jazz and Classics. You will be pleased to hear that they do not take the attention away from a bride and groom or party host. The sun hats are optional but very useful on a summers day! We work with a number of String Quartets which offers highly skilled, professional musicians who love making music with each other. 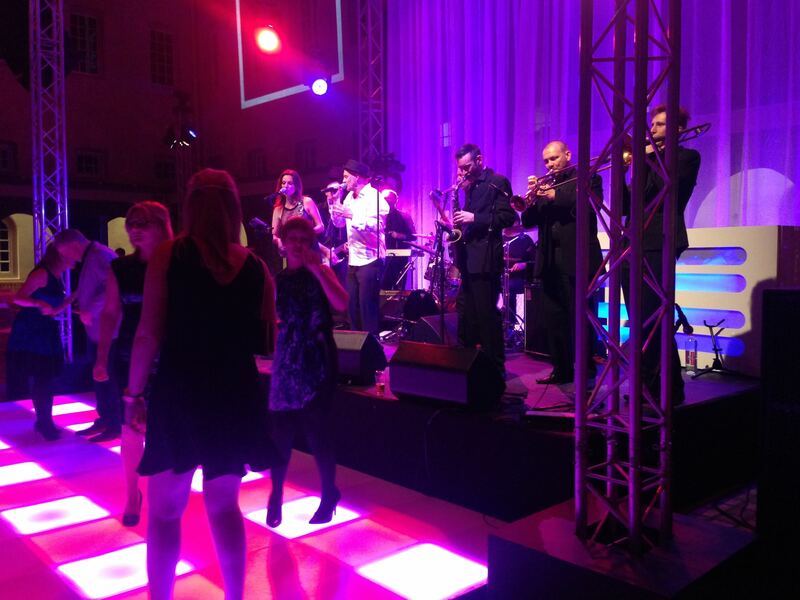 Live music will introduce a scintillating extra dimension to any occasion. A string based quartet will make any occasion a special occasion. Every performance by our String Quartets are a bespoke event, designed to suit your needs exactly. They will help you choose music to suit the atmosphere that you want to create: romantic, dramatic, relaxed, informal, stately. Repertoire is enormous and varied from classical favourites such as Bach’s serene Air on the G String to jazz like Pennies from Heaven, Makin’ Whoopee and Let’s Do It to contemporary classics including Bad Romance - Lady Gaga and Bittersweet Symphony - The Verve. 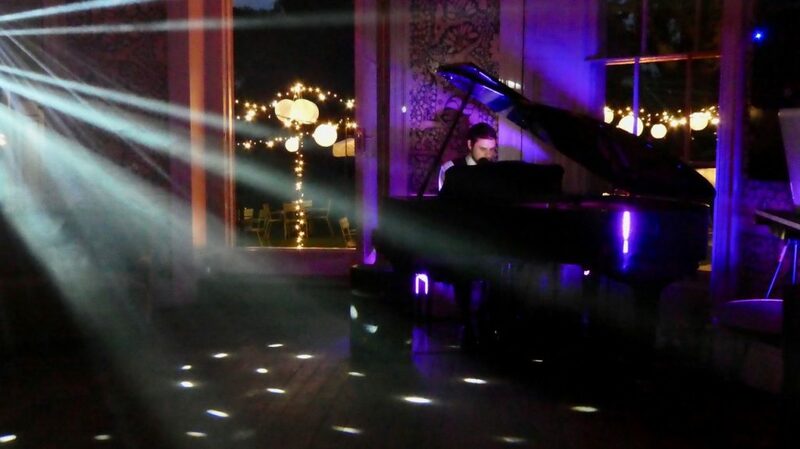 A Pianist is perfect entertainment for a drinks reception or dinner and ideal if you are working to a budget. We have a number of Pianists and pianos available for hire across the country. If you would like a quote for a pianist please send us your venue location and your preferred repertoire i.e. Classics, Jazz, Rat Pack or a wedding pianist that offers all of that plus some contemporary artists including Coldplay and Oasis. 5 piece roaming band performing feel good hits from the 1950's to modern day songs performed in a fun, acoustic style. They require no amplification or stage, preferring to mingle with the audience - serenading, flattering, surprising, and seducing their listeners as they go. They can play during any drinks reception inside or out or for a party in the evening with additional sound system. Brilliant fun and a WoW factor. Festival Trio - DJ, Sax and Bongos / Percussionist. The Festival Trio comprise DJ, Sax & Percussion (Bongo player) offering a live experience to a standard DJ set. Combined, they play fantastic music that everyone can enjoy and rock out to. The DJ plays to the crowd and Sax and Bongos play to the DJ. They improvise in a creative and interesting way. The Sax offers melodic harmonies and sounds great on Soul, Motown, Disco and Dance/House/Club Classics. The percussion plays a mix of Bongos, Cowbells & Drums and works well on most genres. Like our DJ sets they will play for 5 hours with no breaks. Generally, our bands play for 2 x 45 minute sets and know how to work well with a DJ. Available with fantastic Lighting, Top Engineer, all the trimmings and in several size formats - from a 3-piece to 5-piece - so great for any type of wedding, party or event and a massive repertoire that includes Pop, Dance, Indie, Rock, 70's Disco, 80's New Wave & 60's Soul. Book a great cover band with STYLISH Entertainment for your wedding. They tailor-make the repertoire for each private party to guarantee a unique and truly special show. From Opera, musicals, 70's, swing and much more - we'll work with you to make it ideal for what you have in mind. They make your vision come to life!